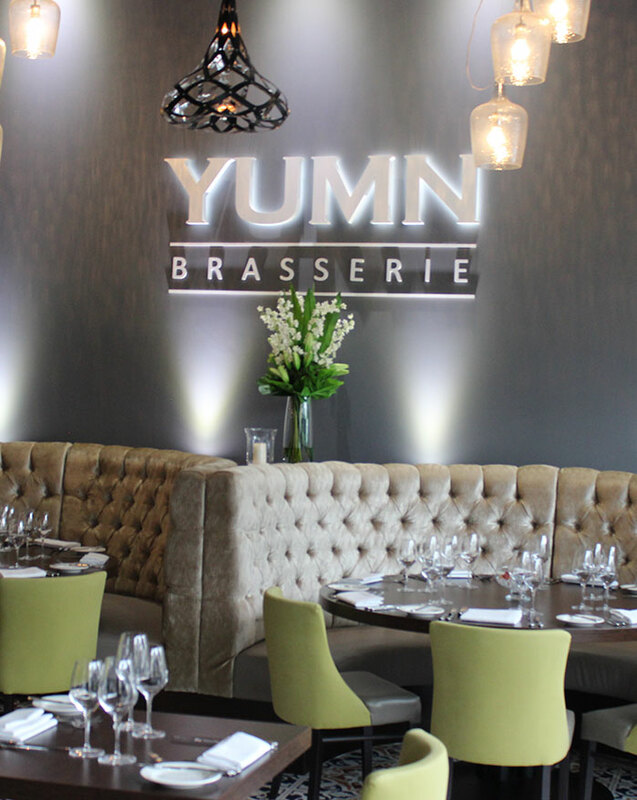 Our inspiration for the food and design of Yumn Brasserie is a modern interpretation of fine dining. Inspired by new trends, we are dedicated to serving classic dishes using high quality produce at affordable prices. Call us on 0208 681 2336 Or book online. 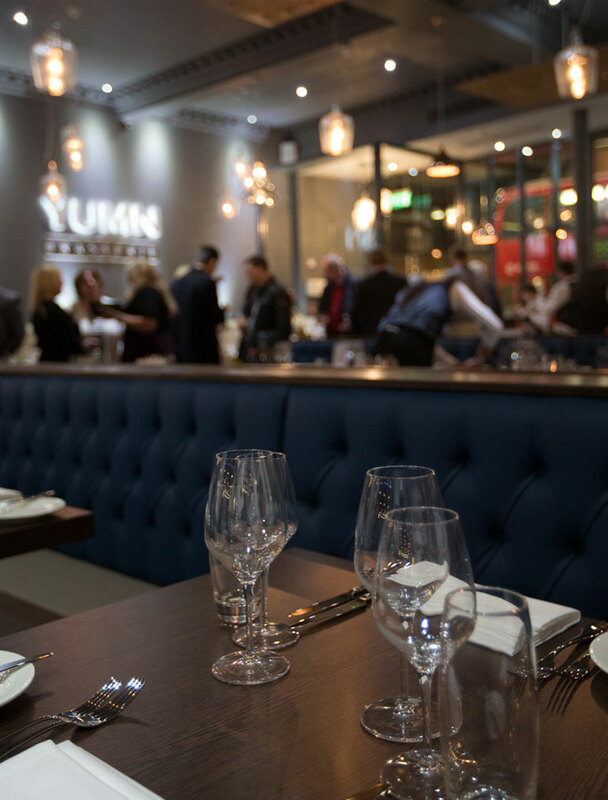 For party bookings of 10 or more guests, please call the restaurant to discuss the many options available to make your event a success. Our extensive menu means guests will always find something to appeal to their budget and taste. The Brasserie favorites such as Steak Frites, Herb Crushed Hake, Yumn Sticky Toffee Pudding and creme brulee are much loved house specialities. Diners can also expect a selection of mouth-watering meat, chicken and fish cooked on our specialists Josper Grill. Our Menus are changed periodically to reflect seasonal trends. We serve A La Carte menu alongside, Lunch, Afternoon Tea and Sunday Brunch. Yumn also houses a stunning 16-18 seat private dinning room, which can be hired for special events, social gatherings and business meetings.